Posted on December 14, 2018 by Anna Tegelberg. This entry was posted in Promotions and tagged cards, Valentine's Day. Bookmark the permalink. 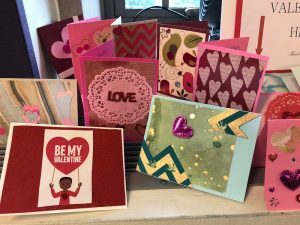 You’re invited to participate in the annual Valentine Card Project on January 7, 18, 25, and February 6, hosted by staff at UW Medical Center’s Art Program and the Whole U. 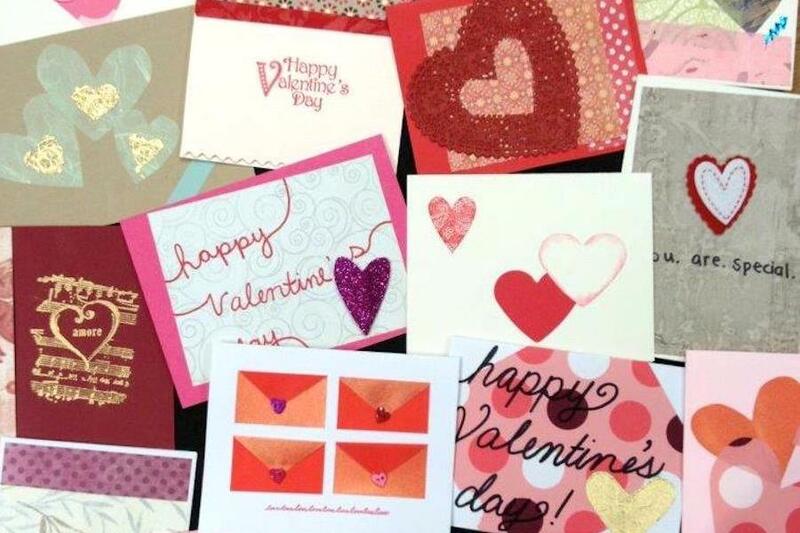 The goal is to create 550 beautiful handmade Valentine cards for all UW Medical Center inpatients, which will be delivered on February 14. Everyone is welcome to join in the fun and be a part of this creative and beautiful tradition, including friends and family. No art experience required! UW Medical Center patients are primarily adults, which is one reason this event is so special. They come from Washington, Wyoming, Alaska, Montana, and Idaho — the five state region UW Medical Center serves. But we also see patients from all over the country and the world due to our highly specialized medical services. Since our patients are often far from home, family, and friends, this gesture of showing we care means a lot! Drop in between 10:00 a.m. and 5:00 p.m.
Drop in between 10:30 a.m. and 5:00 p.m.
Drop in between 11:30 a.m. and 1:30 p.m.
Each event will be stocked with all the necessary supplies. We only need you! Arts in Healing staff will be at every event and, if needed, can be your creative resource. Come before or after your shift, during your break, or at lunch. As an additional bonus, you will be able to make a card for your own special someone after making a card for a patient. 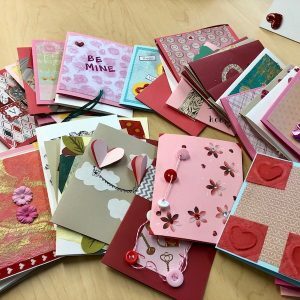 If you can’t attend one of these card-making events but would still like to participate, you can use your own supplies to make cards. Or, you may stop by or send a friend to pick up some materials from one of the events. Please follow the guidelines listed below when creating your card(s). A huge heartfelt thank you goes to everyone participating in this project. It is a bright spot in our patients’ day and it is truly appreciated!